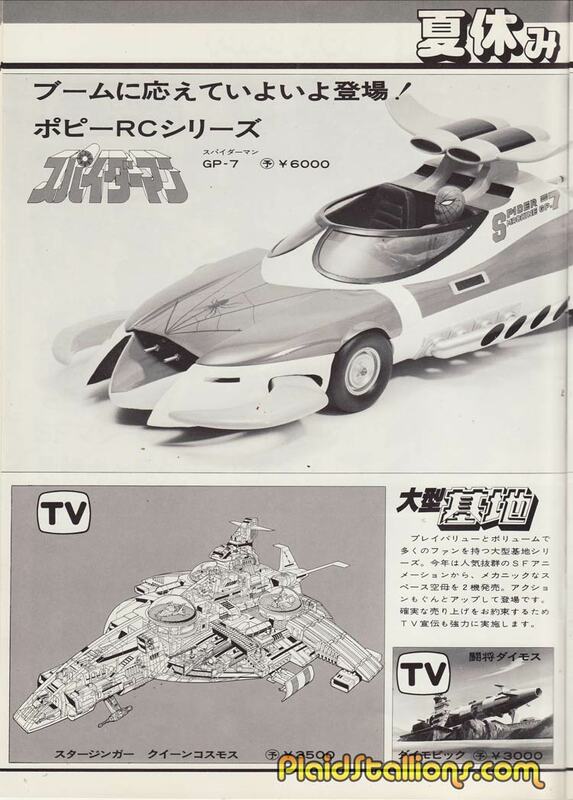 Oh Japan, how i love thee. 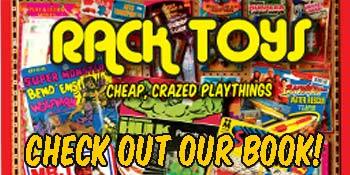 The Popy Toy Corporation is terribly well known to North Americans but their influence definitely had an impact on us. 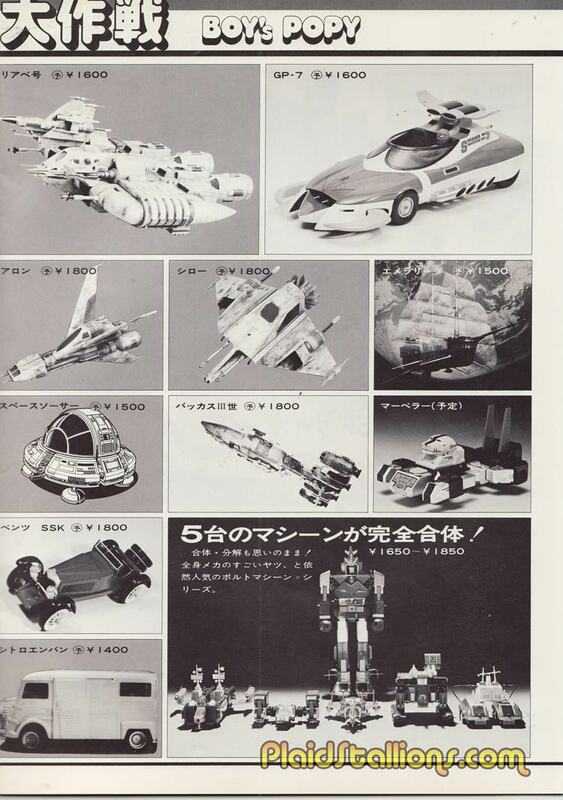 In 1978, they had a tremendouse amount of cool licenses such as Gatchaman (Known to us as Battle of the Planets), Starzinger (which we called Spaceketeers) and your friendly neighbourhood Spider-Man, who suddenly had a cool car and giant robot. This cover would make a great poster even today kids would hang this in their bedroom. 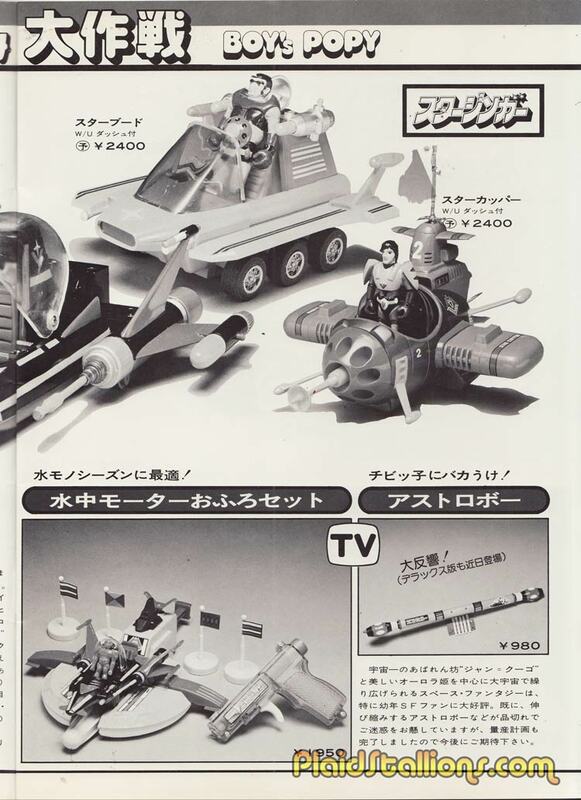 I easily recognize Spider-Mans GP7, a trio of ships from the film "Message from Space" and the trusty "Bacchus 3" from the Fugitive Alien movies. 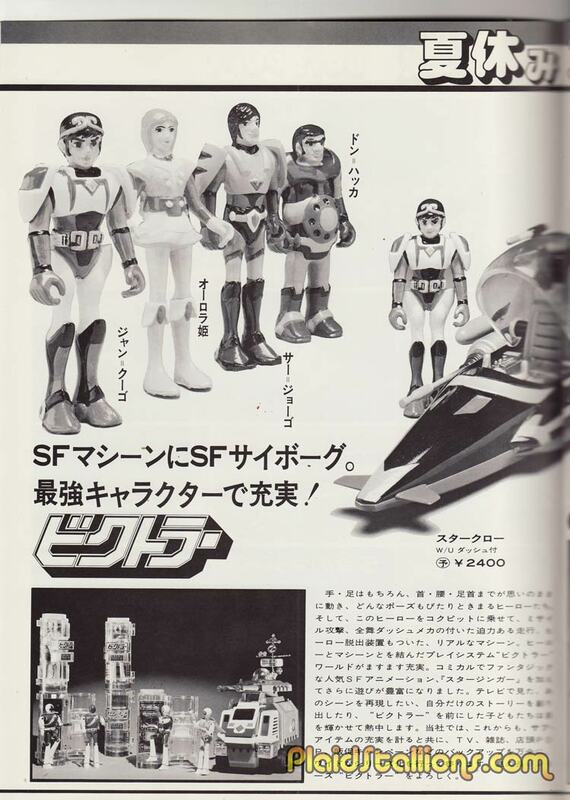 Starzinger was known to us as "Spaceketeers" and it was part of Force Five, a strangely dubbed show that was run at 6am when I was a teenager. 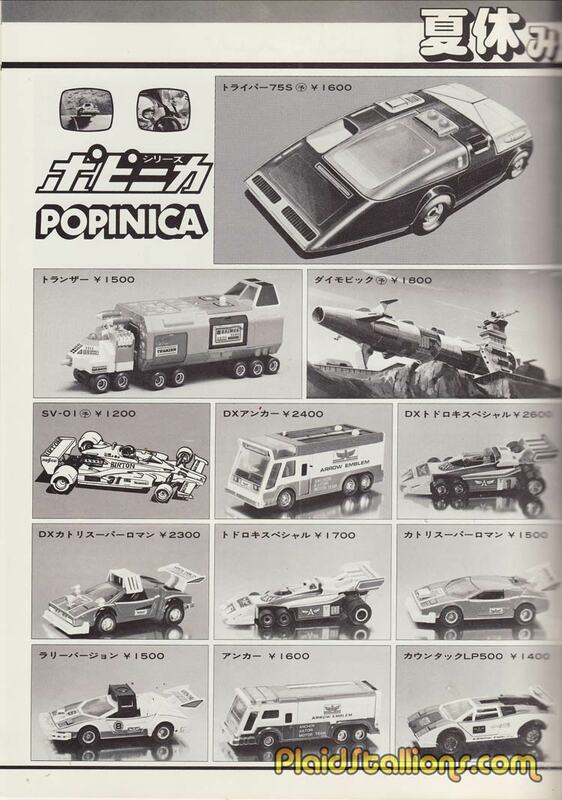 Popy seemed to do an impressive job of marketing the show. 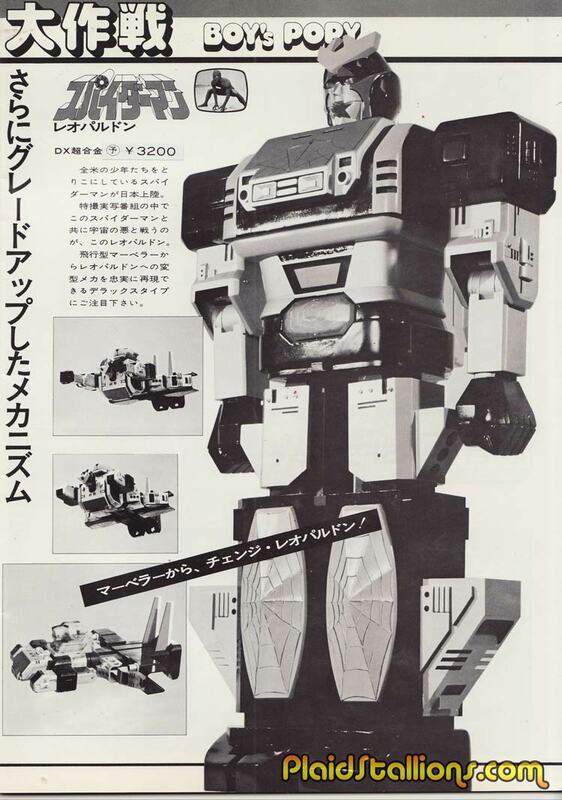 leopardon is Spider-Man's giant mecha in Japan, I actually bought a figure of him in a Toys R Us in the late 80s, still got him! 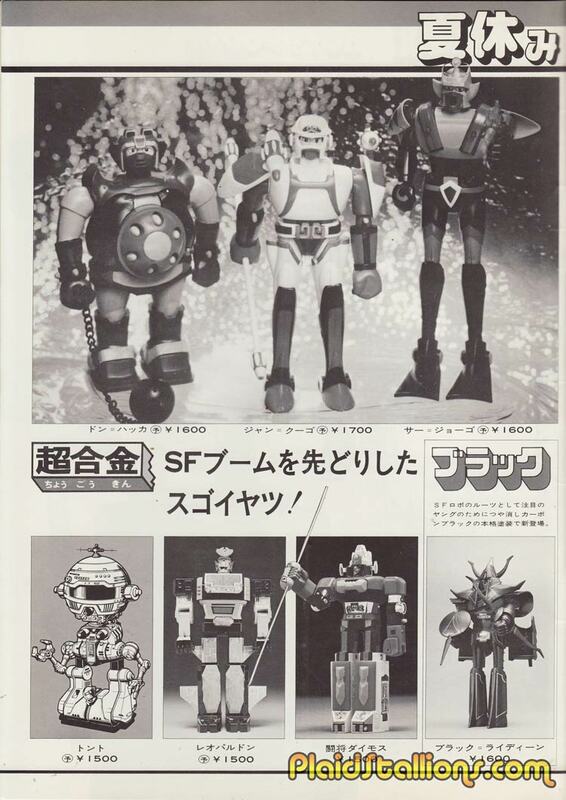 More Spaceketeers and a robot I don't recognize, is he from Gatchaman? I wish I liked this show more! Sadly, it didn't appeal to my jaded 14 year old sensibilities. 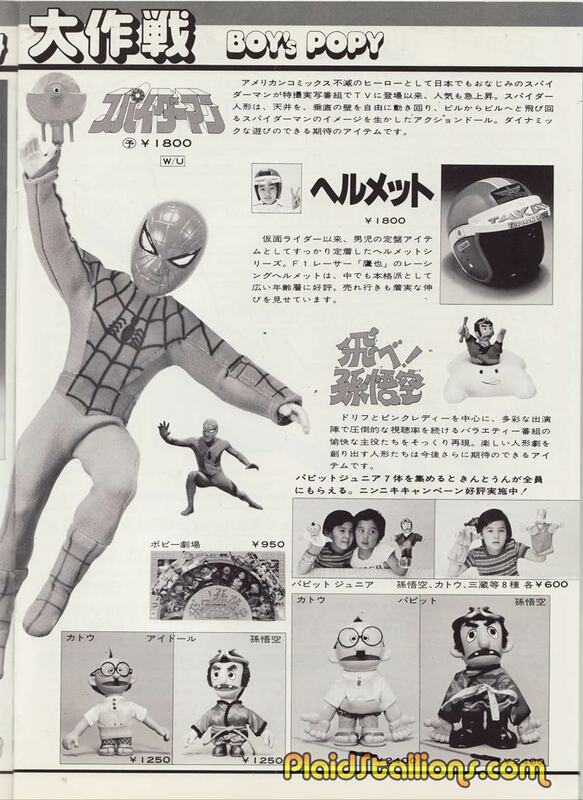 Popy made some killer toys based on their Spider-Man, i find myself wanting this. 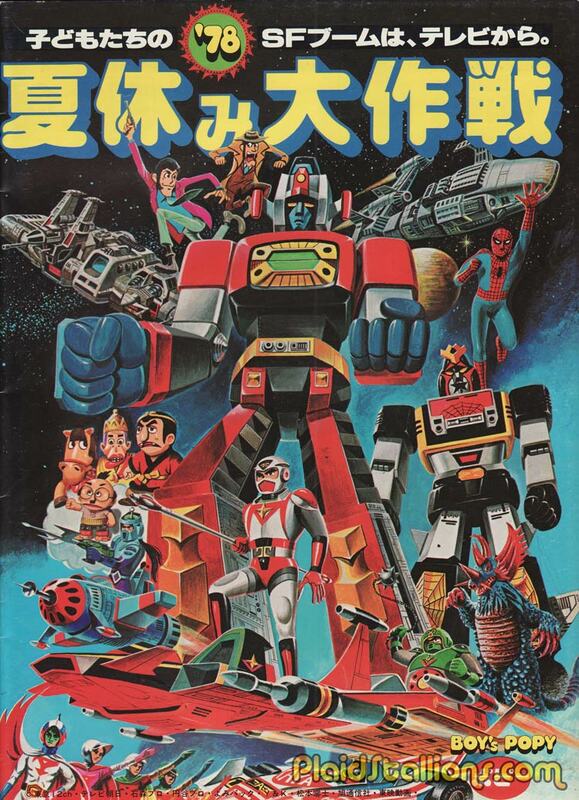 I recognize the God Phoenix from a later Gatchaman (Battle of the Planets) season in the bottom left corner, next to it, not so sure. 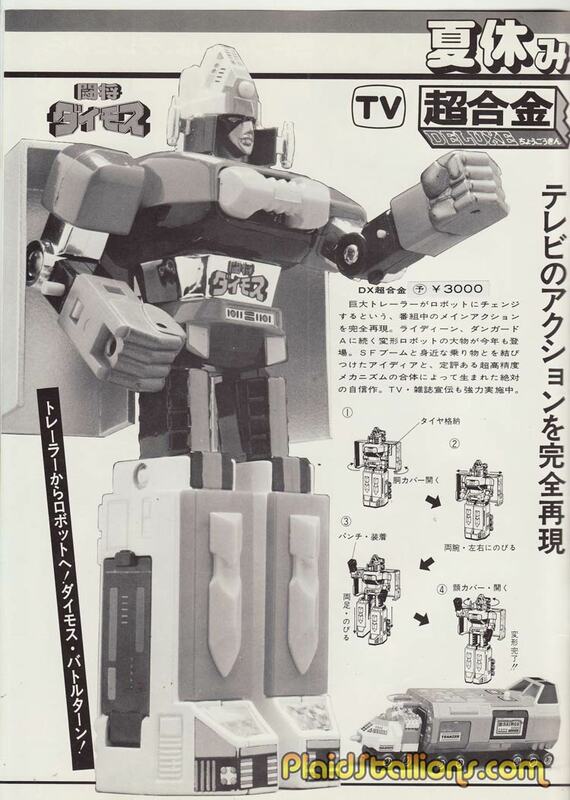 Just in case anyone was wondering I can't read Japanese! 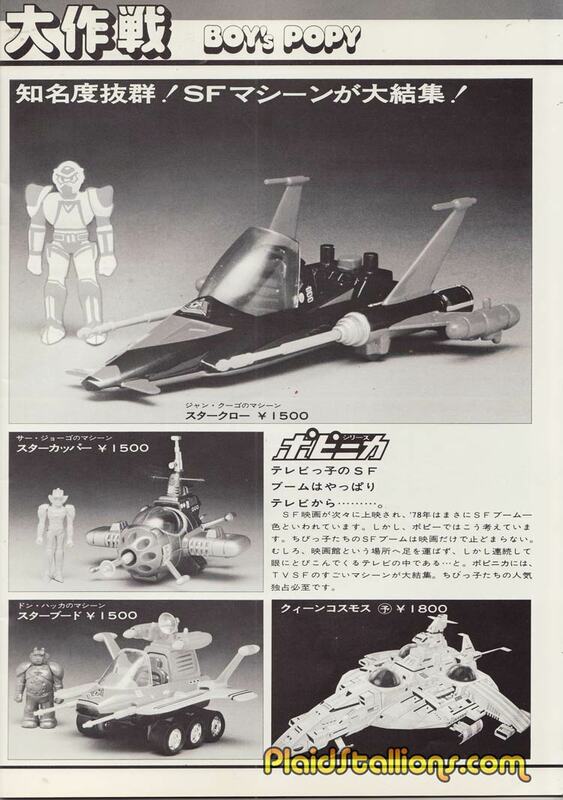 You can't be a Japanese toy catalog without rubber monsters and what better toy line than Ultraman? 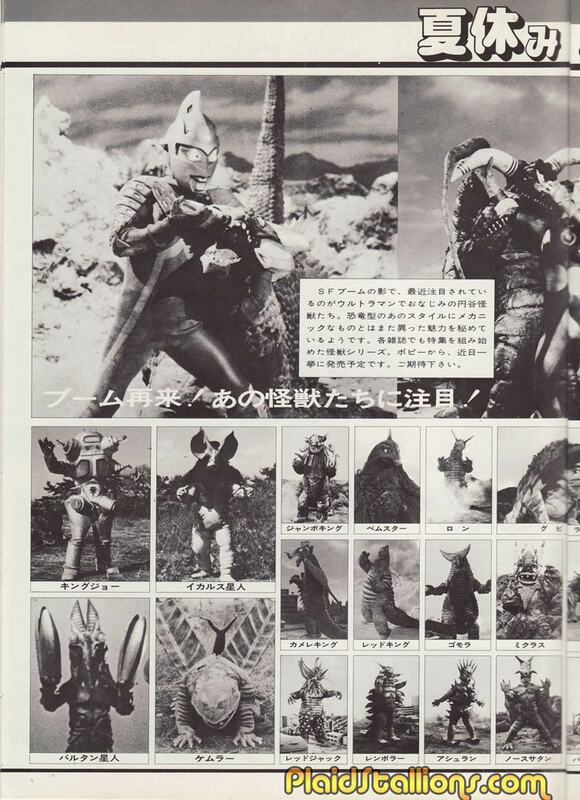 This appears to be Ultraman Jack but many of the villains are from earlier incarnations. 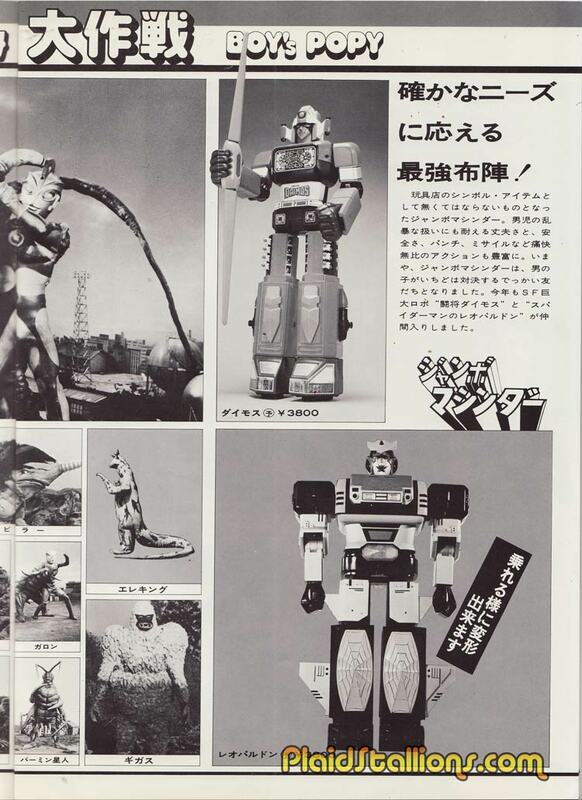 Friends who visit Japan tell me Ultra-Man is an evergreen property there, it rightfully should be. 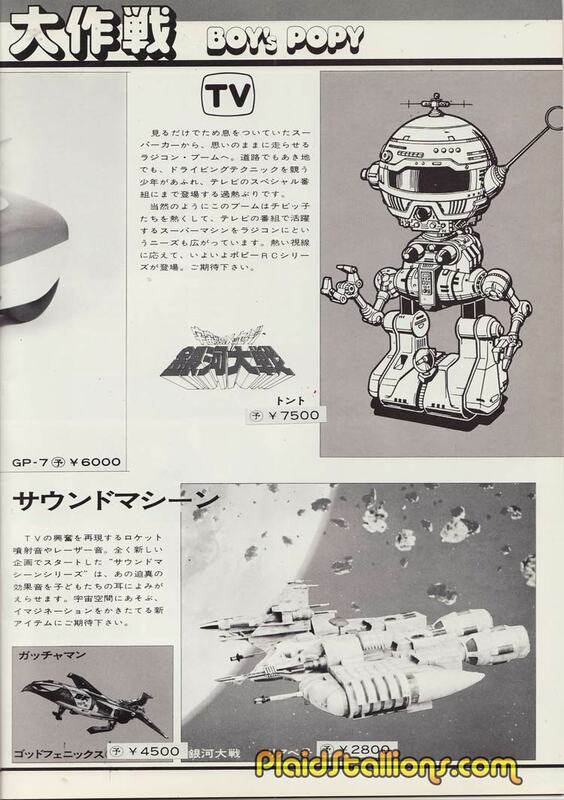 Hey it's Daimos! I got one! 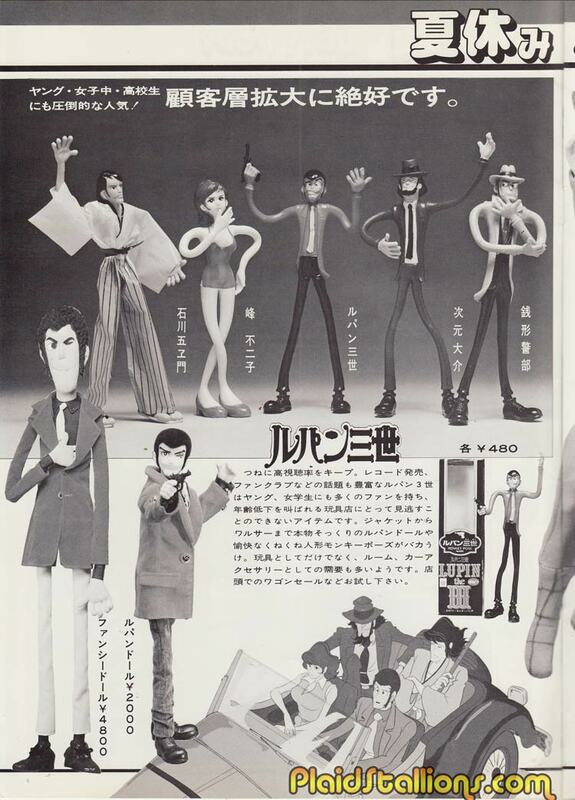 Lupin III is a popular animated series about a master thief, it's had some stateside exposure so I'm sure folks are more familiar with it than i am. 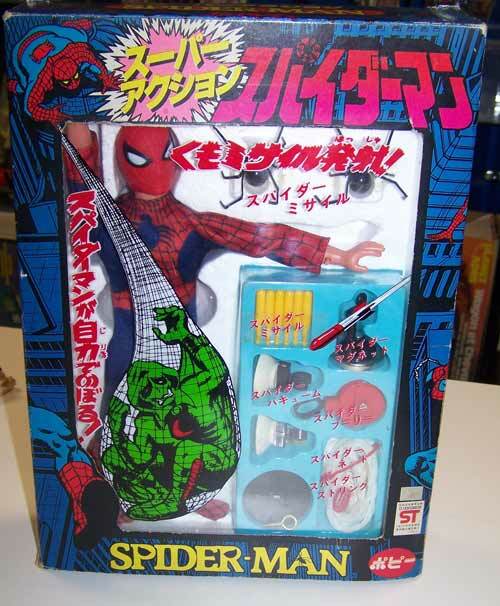 This ten inch Spider-Man figure Popy made is amazing, this appears to be a rough prototype with a hand drawn outfit. I've included some pics of the Spidey below as a bonus feature.. I love this toy, you should too.